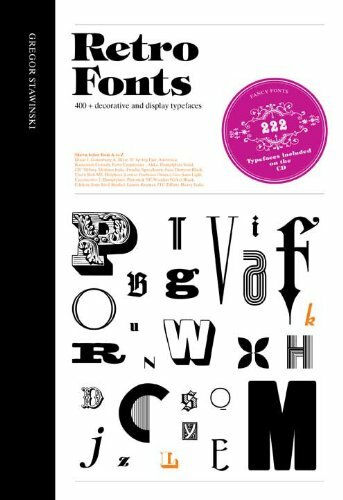 There are 222 copyright-free fonts in this 560-page collection of retro typography. Copy-right meaning their copyright has already expired. Yes, they are also available for free on those free font sites. But it's just faster to install the fonts, apply them and see them appear instantly in your graphics application. I'm using it on a Mac and it seems that not all fonts can be installed — there's some error.